Dearborn carmaker’s CEO confirmed that the 2020 Ford F-150 Hybrid was still on track. It was announce two years ago that the company was working on a hybrid F-150 and it is rumored that a diesel version of the same will also be produced. By making the F-150 electric, the company would be contributing greatly to reduced emissions as trucks like the F-150 have the worst fuel economy. The Ford CEO, Mark Fields did not give much information on the Ford F-150 Hybrid and it is not possible to know whether the new hybrid hauling capability will be compromised in relation to towing capability and cargo hauling. It is also hard to tell how passenger space will be, the kind of technology that will be incorporated as well as the overall outward appearance. For the time being, all we can do is wait and see. The vehicle has many similarities with its earlier versions such as the current one on road 2015 Ford F-150 however, it 2020 release is much awaited by Ford lovers worldwide. It has the finest designing done by the American manufacturer and will be the best truck on road by then. The ideal choice of a hybrid pickup will be the F-150 in 2020. The Ford CEO, said that the new vehicle would utilize conventional hybrid engine power train as opposed to the plug-in set up. General Motors and Chrysler tried their hand in creating large hybrid trucks and sports utility vehicles. General Motor has used the V8 gasoline-electric hybrid whereas the Chrysler used the hybrid Hemi Ram. While these vehicles made savings on fuel, the cost of hybrid technology was equally high thus cancelling out the gains. Ford’s F-150 is expected to triumph where the Hybrid Chevy Silverado and the Dodge Durango failed as Ford has shown itself to be the American leader in hybrid technology. The current F-150’s most efficient version uses a 2.7 liter turbo v-6. Its EPA ratings are 19/26 mpg city/ highway. The Ford F-150 2020 is expected to up the above numbers. It could be rear-wheel drive and will make use of aluminum which is lightweight and high strength steel. This coupled with the hybrid technology is likely to make the new Ford F-150 Hybrid a leader in the half-ton truck world. The Ford F-150 Hybrid is expected to hit the market in the next four years by 2020. Based on Ford’s recent announcement that it will release 13 electrified vehicles by 2020. The cost of the new F-150 is not yet known. The American company has invested $ 4.5 billion U.S. dollars in developing its in-house electrification technology. 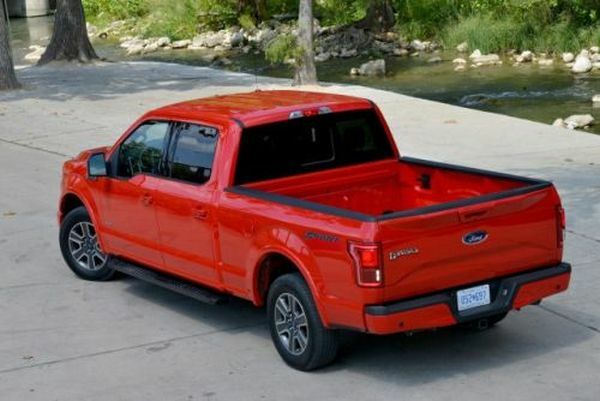 Unfortunately, Ford has not released details of the latest F-150 and with the little information, speculation abounds. This truck will not face much competition in the hybrid category as the other hybrid versions GM’s Chevrolet Silverado and Chevrolet Tahoe were phased out due to lack of demand.